Who says you can’t be as comfortable in your automobile as you are when you’re relaxing at home? Gone are the days of suffering in the sweltering heat or freezing during the winter. Today’s vehicle is equipped with a comfort system that keeps the cabin temperature exactly where you want it, and Anderson Automotive services it. Let’s start with the first line of defense against comfort system breakdown: system diagnosis. As with the other systems in your vehicle, your air conditioner and heater require regular maintenance. Whether you bring your car, truck, or SUV in for servicing or because there’s a problem, we won’t start the work until we inspect the system visually and via computer diagnostics. This tells us exactly what is wrong so we can fix it. A crucial component of your vehicle’s heating system, think of the heater core as a mini-radiator. The core takes hot coolant and passes it through an inner tube – called a heat exchanger. Fins use the heat from this coolant to warm the air that blows into the cabin. If you turn up the heat in the vehicle yet have no hot air, if you notice a coolant smell inside your automobile, if your windows fog up even with the defroster on, you might have a heater core issue. We can fix it. 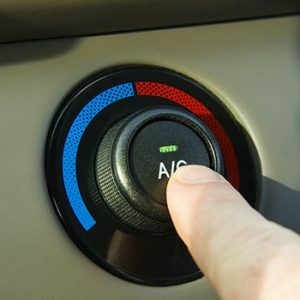 As with your home’s AC, you should have your vehicle’s air conditioner serviced regularly, too. At the proper mileage milestone, we will measure your system pressure, inspect the system for leaks or other trouble, diagnose any trouble with your AC compressor, flush and replace the fluids, and check all lines for wear and tear. This ensures your air conditioner works as it should all summer long, which you’ll be thankful for when summer hits. If something is wrong with your AC compressor, we will fix or replace it. Driven by the serpentine belt in the engine, the AC compressor that pressurizes the coolant and your air conditioner cannot blow cool air without it. To cool the air down, the compressor spins faster than you can imagine, so yes, it will breakdown eventually. You needn’t worry, however, because we can replace your compressor should it fail. It’s no surprise that you won’t have any air blowing into the cabin through the vents without a blower motor, and these, too, can fail. The most common symptom of blower motor trouble is your AC or heater ignoring the dashboard controls. In other words, you flip the AC on and nothing happens. You may also hear grinding or whining noises from the passenger side floor when you turn on the AC or heater. If this is the case, bring your vehicle in for an inspection. Anderson Automotive in Olathe, KS, understands vehicle comfort systems. We will diagnose and repair any issue right the first time. 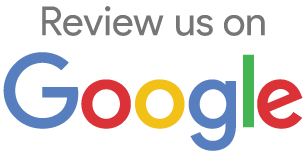 Call us at 913-393-0083 today.